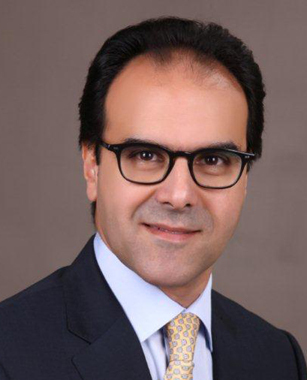 (Cairo, Egypt) — As the winner in five different categories in the recently announced Thomson Reuters / Zawya MENA Asset Management Awards, EFG Hermes Asset Management, one of the region’s largest and most diverse asset management houses, has clearly demonstrated its ability to outperform its peers. With USD 2.8 billion in AUM and growing, the division is recognized as the top-performer in the field regionally. In Egypt, its five conventional equity funds beat their competitors’ average two-year return (as of 31 December 2013) by nearly 10 points. Its Egyptian Islamic equity funds have performed similarly, and the division has taken home regional and global industry awards for its track records in Egypt, Saudi Arabia, the United Arab Emirates and Qatar. 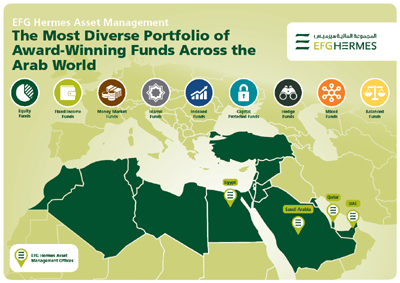 At the Thomson Reuters MENA Asset Management Awards 2014 the EFG Hermes MEDA Fund, which achieved a return of 45.8%, received the Zawya Fund Award for being the Top Performing MENA Equity Fund in 2013. At the June 1, 2014 Thomson Reuters MENA Asset Management Awards ceremony, the division’s Banque du Caire Fund I was named Zawya’s Top Performing Equity Fund in Egypt in 2013, and the Credit Agricole Egypt Fund III was named Top Performing Money Market Fund in Egypt in 2013. The division’s Saudi Equity Fund — which achieved a 48.8% Net Total Return — was recognized at the Thomson Reuters event as Zawya’s Top-Performing Equity Fund in Saudi Arabia in 2013. Also this year, the division was named Best Asset Manager Saudi Arabia and Best Asset Manager UAE at the Global Banking & Finance Awards 2014. Meanwhile, Al Waseela Fund (F Class) was named Zawya’s Top Performing Equity fund in Qatar in 2013. At Thomson Reuters Lipper Fund Awards 2014, EFG Hermes’ Al Baraka Fund was recognized as the Best Islamic Equity Fund over both two-year and one-year periods in the Global Islamic Category. Others of the division’s Egypt funds have been consistently ranked in the top three in equity and money markets, as well as in the top two in Qatar. EFG Hermes-managed money market funds have performed especially well, outperforming other non-EFG Hermes funds by an annual average of almost 30 basis points since 2006. As of the end of May 2014, the funds were atop this year’s league tables with a 0.57% annualized return rate, placing the firm’s five managed money market funds at the top of their peer groups in 2014. The table, overleaf, shows the complete list of awards and rankings achieved by the EFG Hermes Asset Management division this year. EFG Hermes Asset Management is the leading asset manager in the Arab world with c. USD 2.8 billion in assets under management. The team of 29 experienced professionals across three countries manages 17 country-specific and nine regionally dedicated funds, making it the largest and oldest investment manager in the region. The Division is a market pioneer that manages a diversified portfolio of high-performance funds including both institutional funds and dedicated portfolios, offering traditional and alternative investment solutions including equity, fixed income, money market, indexed, capital guaranteed, as well as Shariah-compliant (Islamic) funds and portfolios with a distinguished track record that dates back 17 years. Clients include institutional investors, family offices, as well as high-net worth individuals. Established in 1984, EFG Hermes, the leading investment bank in the Arab world, draws on 30 years of experience to serve as the preeminent investment bank in the region to provide a comprehensive spectrum of financial services including Investment Banking, Asset Management, Securities Brokerage, Research and Private Equity. Additionally, EFG Hermes owns a 63.7% majority stake in the Lebanese commercial bank Crédit Libanais. Through its operations in Egypt, Jordan, Kuwait, Lebanon, Oman, Qatar, Saudi Arabia and the UAE, with more than 800 employees of 25 nationalities, EFG Hermes serves a considerable and diversified client base from the Middle East and North Africa to Europe, Africa and the United States. Our clients include governments, corporations, financial institutions, high net worth clients and individual customers. In this press release, EFG Hermes may make forward looking statements, including, for example, statements about management’s expectations, strategic objectives, growth opportunities and business prospects. These forward-looking statements are not historical facts but instead represent only EFG Hermes’ belief regarding future events, many of which, by their nature are inherently uncertain and are beyond management’s control and include among others, financial market volatility; actions and initiatives taken by current and potential competitors; general economic conditions and the effect of current, pending and future legislation, regulations and regulatory actions. Accordingly, the readers are cautioned not to place undue reliance on forward-looking statements, which speak only as of the date on which they are made.